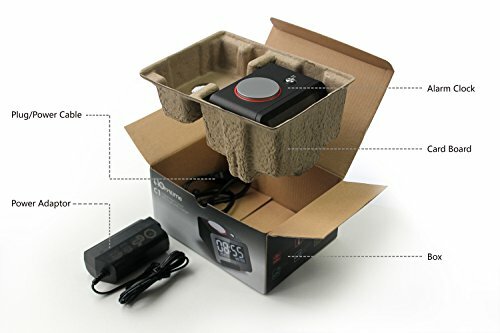 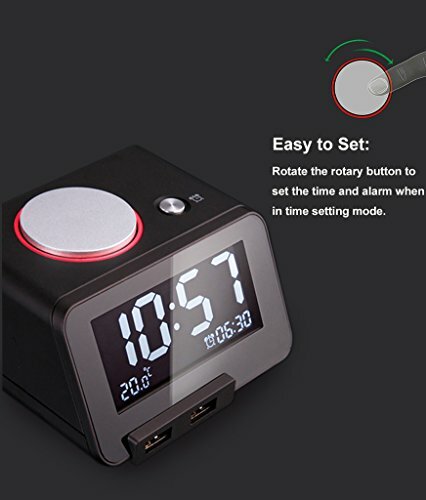 SUREALARM BATTERY BACKUP - support AAA Battery for helps ensure accurate time-keeping during a power failure or disconnection of the power cord.NOTE:it does not support charging and lighting long time in AAA battery mode. 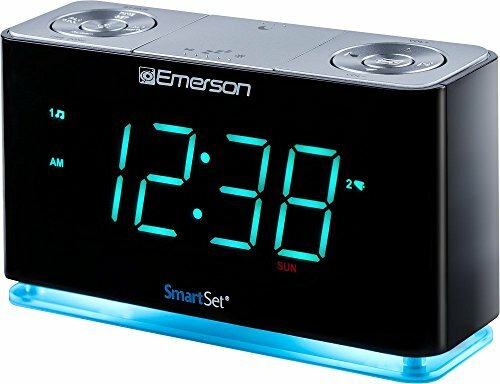 SNOOZE OPTION AND GRADUAL WAKE ALARM - with snooze functions, afford you a few extra minutes of sleep.Begins with a subtle, low volume that gradually increases to a higher volume to gently wake you up. 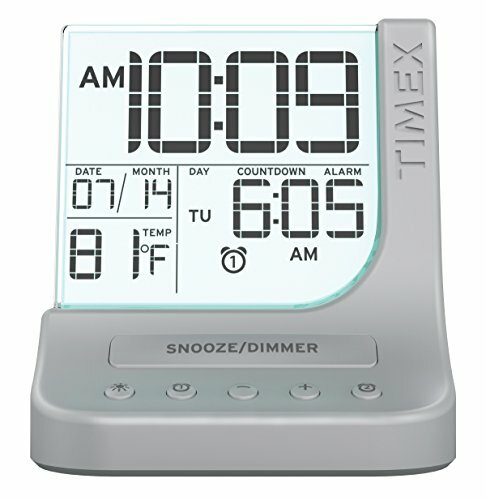 INDOOR THERMOSTAT - displays the room temperature on front panel. 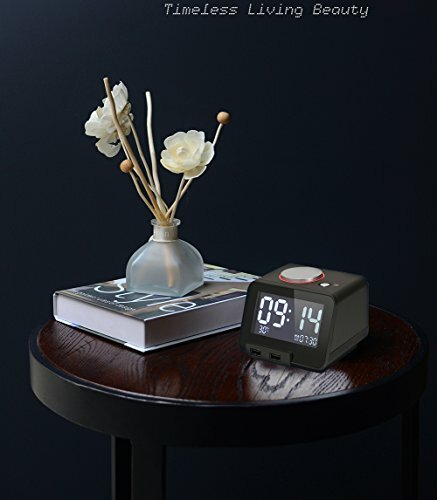 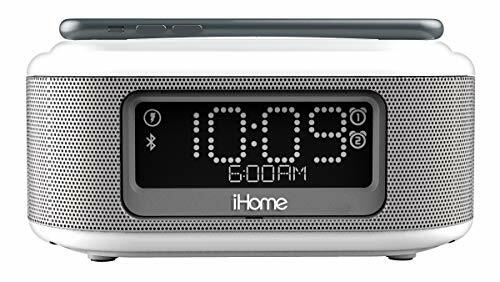 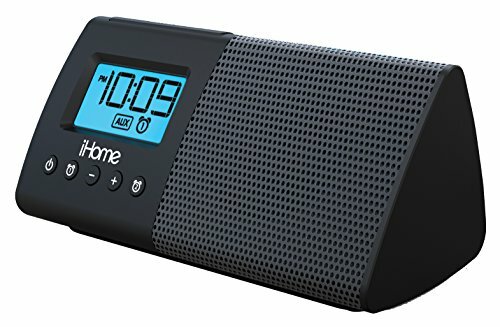 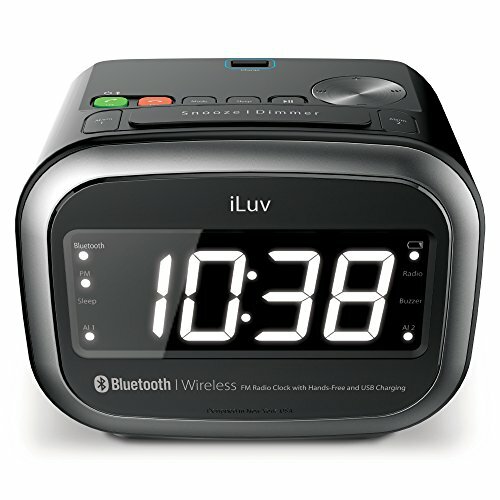 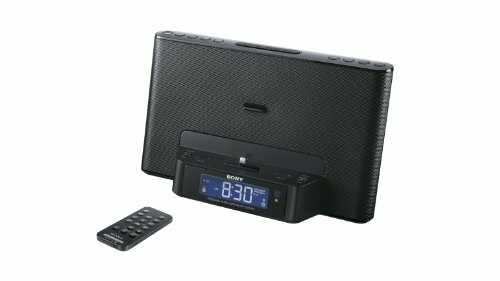 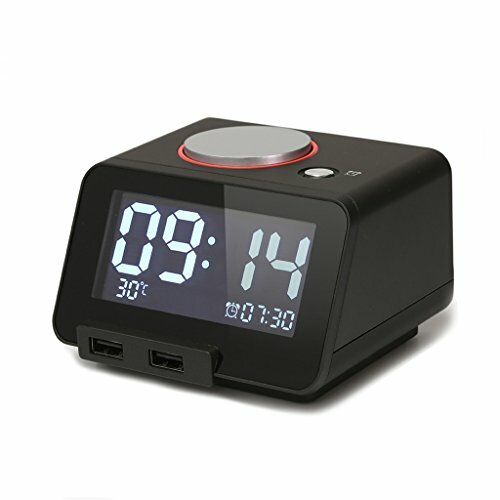 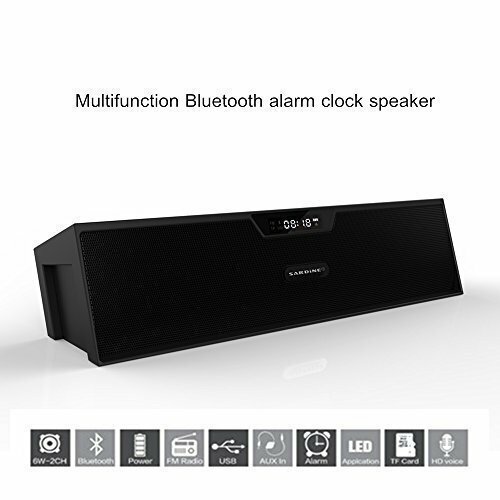 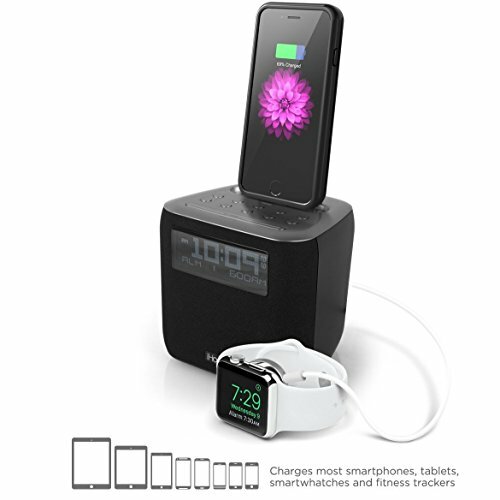 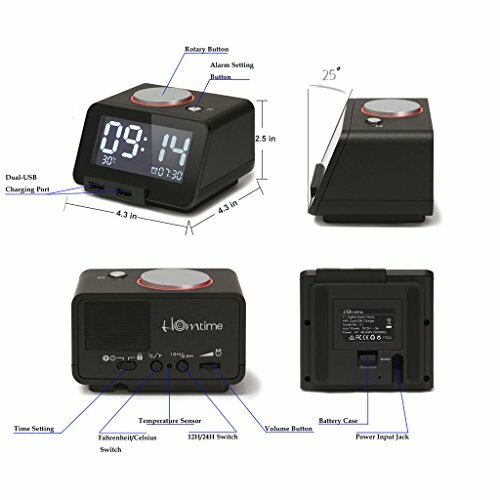 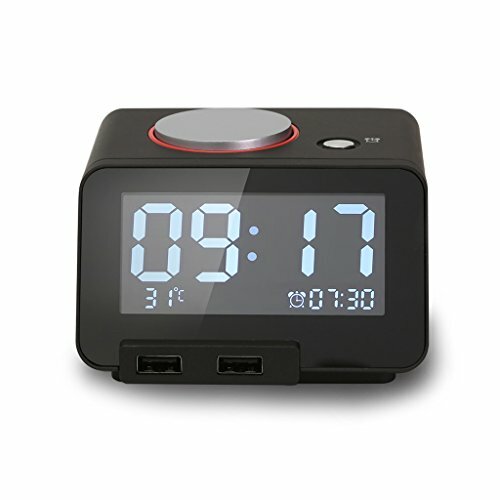 ALARM CLOCK WITH 4 LEVELS OF LCD DIMMING - 3.2 inch LCD large font display for easy readability during the day or at night and has 4 brightness levels easily adjusted by tapping the big button. 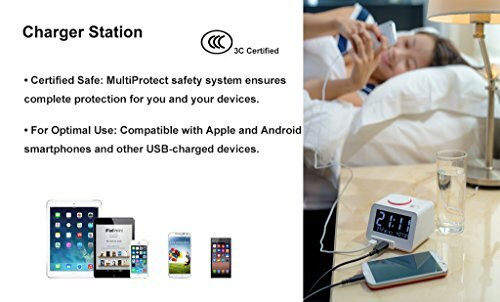 SAFE & FAST CHARGING - dual front panel USB charging with 3.1A total power(1 x 2.1A ,1 x 1.0A). 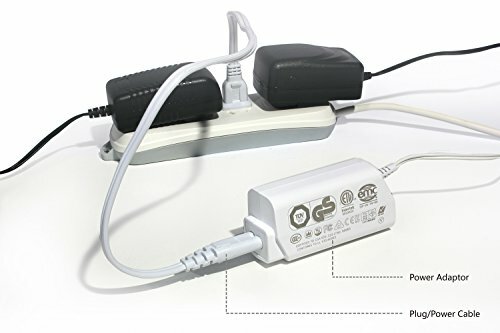 Built-in surge protection to protect against overcharging, surges and overheating, ensuring the delivery of steady power output to each device.